Daniel is a business attorney, which means his clients trust him to worry for them. He serves as the chair of the firm’s business section, and his practice includes business and nonprofit formation, succession planning, business mergers, stock and asset acquisitions, employment law, private offerings of securities, and outside general counsel work. Daniel’s clients value his judgment, analysis, and critical eye to help them navigate difficult legal issues, structure their business relationships to fairly allocate rewards and risks, and move towards achieving their goals and dreams. Daniel represents individuals and both profit and nonprofit entities, including higher education and religious nonprofits. Daniel sees his practice as a life-long pursuit of developing the judgment and skills to serve others. He deeply appreciates the matters entrusted to him by his clients and works hard to earn and maintain their trust. Daniel is rated AV Preeminent® (5.0/5.0), the highest ranking given by Martindale-Hubbell. He has also been selected a Super Lawyer by his peers in the annual survey by Washington Super Lawyers every year, from 2001 through 2018, and is rated 10.0 “Superb” by Avvo. Best publication: Cover boy, August/September 2003 Washington Law & Politics, Super Lawyers edition. Daniel was a member of the Seattle Ethics and Elections Commission and served as its Vice-Chair in 1996 and its Chair in 1997 and 1998. He also serves on the board of directors of Seattle Kendo Kai, the oldest kendo dojo in the Pacific Northwest. He holds the rank of yondan (4th degree black belt) in kendo. His blank verse play, Weeds, played to sold-out audiences at the Seattle Fringe Festival (2000) and he has appeared in a number of local plays. 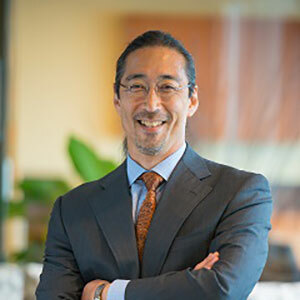 As a young attorney, Daniel had the honor and privilege of serving on the legal team for Gordon Hirabayashi in the case and appeal that overturned Gordon’s infamous convictions for opposing the wartime curfew and internment imposed on Japanese-Americans located on the West Coast. During his free time, Daniel enjoys being with his wonderful wife, Allison (and serving as her prep chef), reading the great literature he should have read earlier in life, practicing kendo, and honing his communication skills through Toastmasters.